The Office of the Superintendent of Financial Institutions (OSFI) has licensed issued Manulife Financial a license to administer federal Pooled Registered Pension Plans (PRPPs), making it the first Canadian company to do so. The federal government finalized the PRPP act in December 2012. Once final registration of Manulife Financial’s PRPP product is received from OSFI and the Canada Revenue Agency (CRA), the product can be offered to federally-regulated businesses across Canada, and to any business or self-employed individuals within the Yukon, Northwest Territories and Nunavut. Employees of businesses in the territories are also eligible to participate in a PRPP, even if their employer has not yet implemented a formal plan. The provinces of Saskatchewan and Alberta have also passed their own pooled registered pension plan (PRPP) acts. The next step for these provinces will be to develop the regulations necessary for the legislation to be implemented. Once other provinces release their own PRPP legislation, Manulife said it will offer plans to their residents, businesses and self-employed individuals. "Our government encourages those provinces that haven't tabled PRPP legislation to do so quickly,” said Kevin Sorenson, Minister of State for Finance. “All Canadians should be able to take advantage of this new and innovative low-cost savings option. 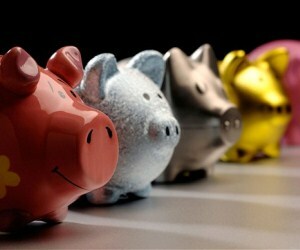 PRPPs will help address a gap in private savings and leave more money in the pockets of savers."